I used my recently acquired drill press to drill holes for the fret and side markers. The side markers were made by drilling shallow holes, pushing thin plastic rods into the holes and then flush cutting the rods. The fret markers were made by gluing the premade hard plastic dots into the holes. 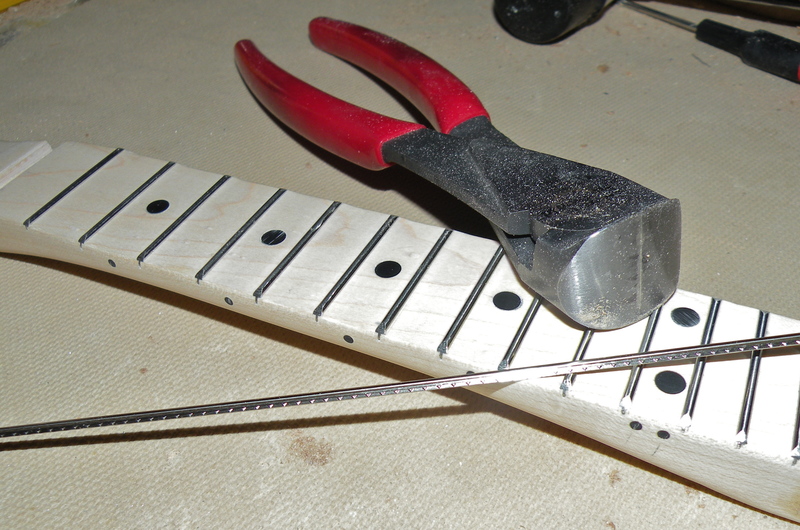 The frets were pounded into the slots with a plastic tipped hammer. Excess fretwire was trimmed off with a fret cutter. I use t-nuts to attach the neck to the body. I feel that this makes the connection stronger. The neck will have a lot of tension on it, so I want it to be securely fastened. Small screws help to hold the t-nuts in place. I took a chisel and cut out the area for the t-nuts. 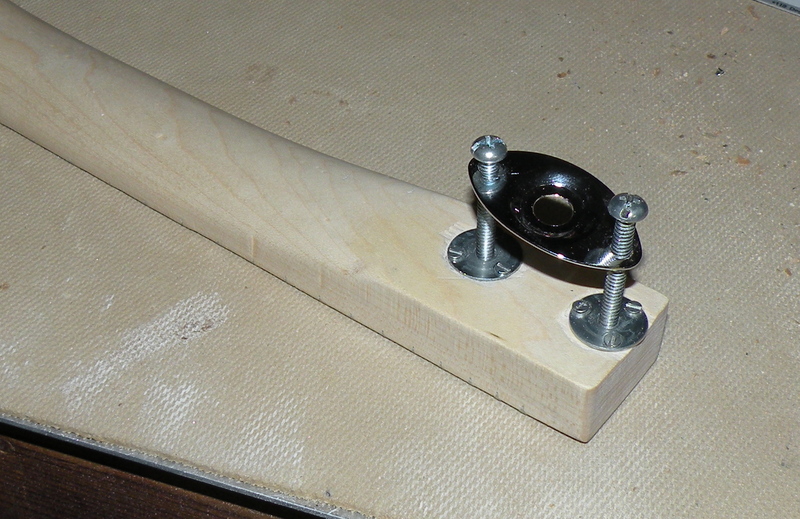 This will make the top of the t-nuts and screws flush with the bottom of the neck. 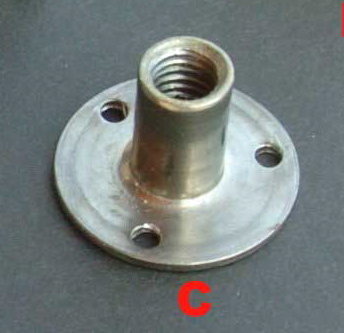 I will use an oval jack plate for the neck plate. The neck is ready to be clear coated. I think I’ll do about 6-7 coats of clear laquer. 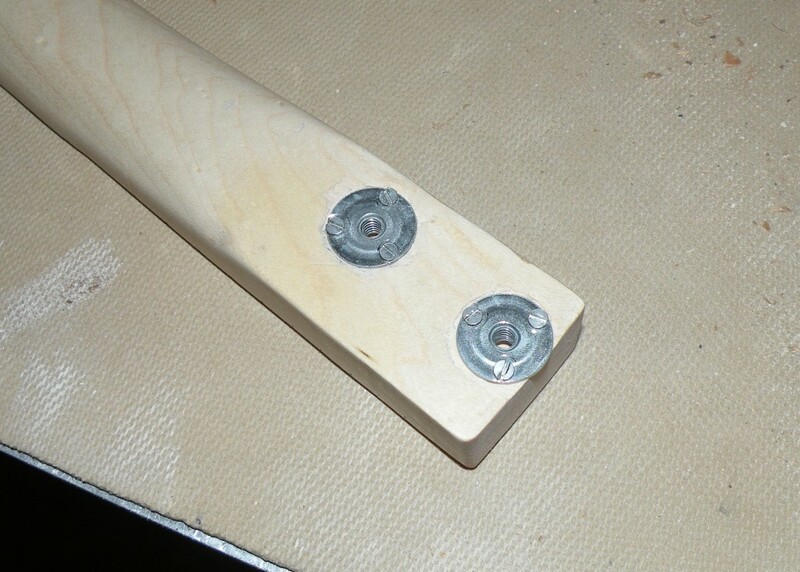 This entry was posted in Daniel Hulbert's posts, General News, Project Telecaster (Daniel Hulbert) by CircuitsAndStrings. Bookmark the permalink. This is coming together nicely. I’ve made quite a few necks now, but this is (by far) the best.